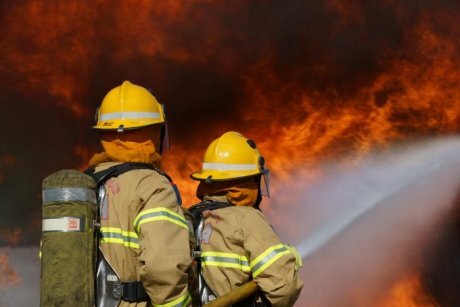 Fire authorities are calling for a rethink of Australia’s firefighting resources as fire seasons extend across the country. As the end of summer approaches there is little relief expected for firefighters, with hot and dry conditions forecast to continue around Australia for weeks. Fire authorities say the country’s extending and worsening fire seasons, caused by climate change, are resulting in a struggle to staff fire stations for the first time. New South Wales firefighter Darin Sullivan says that after 20 years in the job, he has observed a trend of longer and more intense fire seasons in the last few years. “When you are doing 24–48 hour campaigns, and sometimes longer more recently, it can be very fatiguing and very, very hard, arduous work,” Mr Sullivan told The World Today. Mr Sullivan has no doubt a hotter climate is to blame for the higher intensity and duration of fire seasons. “Climate change definitely at our end appears to be having an impact on the cause of fires and certainly the duration and intensity of fires,” he said. So far in the 2015–2016 fire season, eight people have died and more than 350 homes have been lost across Australia. Mr Sullivan, also president of the Fire Brigade Employees Union, said conditions were stretching firefighting resources to breaking point. For the first time, firefighting units were having to borrow staff from interstate just to keep stations operational, he said. “We’ve had firefighters travel interstate to assist other fire services with the fires themselves, and that’s always been the case,” Mr Sullivan said. “But what we are seeing now is a trend where the fires are becoming so catastrophic and so large — to try and deal with that the fire services are struggling to actually resource and staff their local fire stations. PHOTO Firefighters travel interstate to help local fire stations with stretched resources. Australian Firefighters Climate Alliance spokesman Paul Gray said bringing staff in from interstate had its risks. “Fire services manage it well with task forces, they keep it simple. But you can understand — if you drag somebody a couple of thousand kilometres from where they are used to, terrain differences, environment differences, weather differences — there can be a bit of a recipe for disaster if it’s not managed well,” Mr Gray said. A firefighter himself, Mr Gray said Australia needed more fire fighters, but they were not being hired. “In fact, Queensland had a freeze on recruitment for close to 18 months under the previous government,” he said. “The more fire crews you have on the ground, the more peak response you can have towards major instances and stop them getting out of control. Mr Gray said firefighters also needed better equipment to help cope with hotter conditions and longer days. Both Mr Sullivan and Mr Gray agree that a rethink is needed into how Australia manages its firefighting resources. “We think there needs to be a ground-up approach to this. We think that all fire services in Australia really need to have a bit of a clean sweep,” Mr Sullivan said. “I know that in most jurisdictions there is a duplication of service. We’ve got overlapping and duplicated uses of urban firefighters and our rural fire fighters, so [we need] a ground-up approach to restructures.